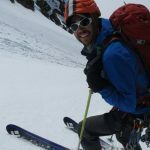 Chad Peele is a professional member of the American Mountain Guides Association and holds AMGA certifications in Alpine Guiding, Rock Guiding, and Rock Instruction. In addition, he is certified by AIRIE up to level three avalanche safety and is a level one avalanche instructor. 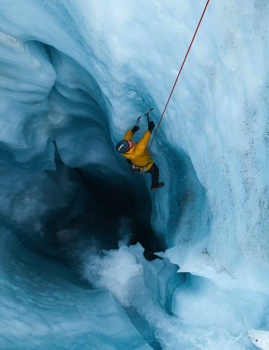 He is a First Ascents athlete through Eddy Baur and travels around the world climbing and guiding. 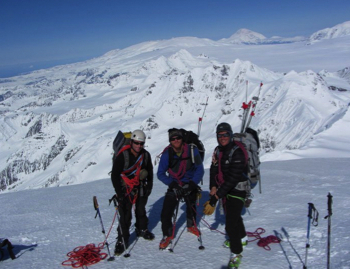 Chad started his guiding career in 1996 as a day guide with St. Elias Alpine Guides, and we are honored that he still comes back to visit and do some big-mountain guiding for his old alma mater! 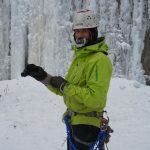 Chad has numerous first ascents in the St. Elias, Wrangell & Chugach Mountains, and since he left us the first time, has accumulated an impressive climbing resume from througout the world. Perhaps most importantly, Chad loves to share his passion for the mountains, and manages to make every one of his clients feel both exhilarated and well cared for.